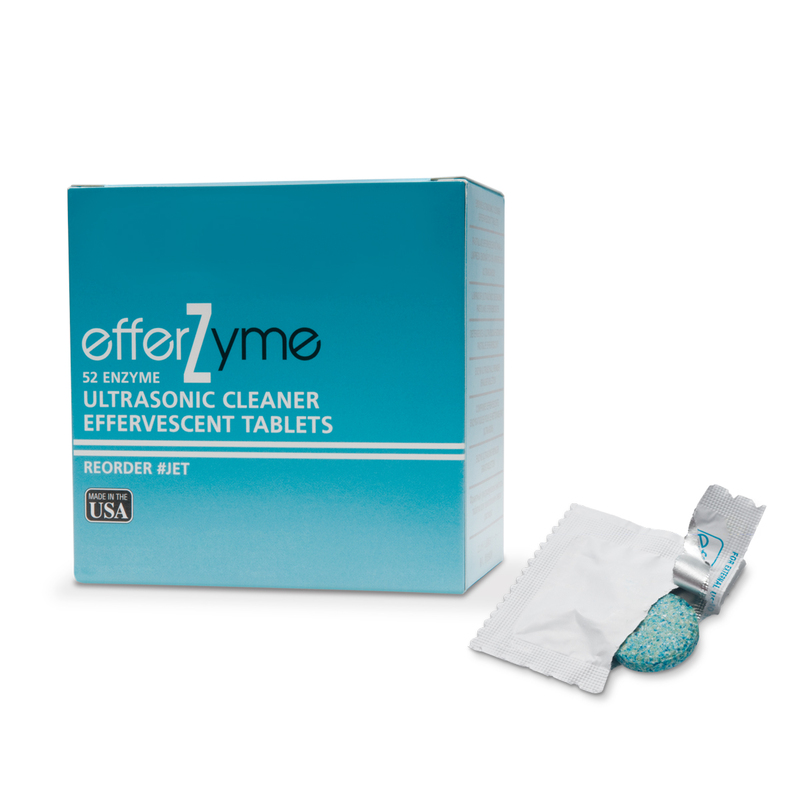 EfferZyme cleaning tablets are made from biodegradable, non-chlorine, ingredients that contain fast acting protease enzymes. These neutral pH tablets enhance the removal of blood and other soils that may be resistant to chemical detergents, while still being delicate enough to not harm instruments. May be used as an ultrasonic cleaning solution or an instrument presoak.